An unaltered photocopy of your Report of Separation (DD-214, WD AGO, etc.) 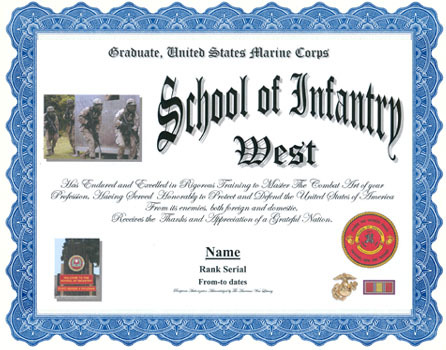 If your service with the USMC School of Infantry is not displayed on your Report of Separation you must provide a copy of your Report of Separation -AND- a copy(s) of any military-issued displaying your Infantry School completion at Camp Pendleton or Camp Lejeune. 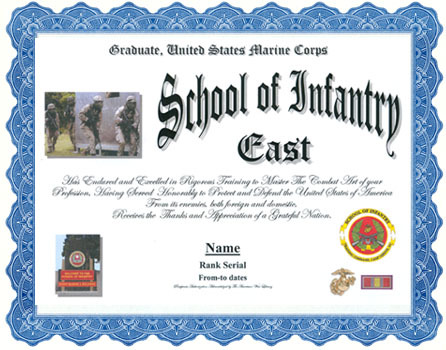 Authorized to Marine Rifleman Professionals for Infantry course completion at Camp Lejeune or Camp Pendleton.